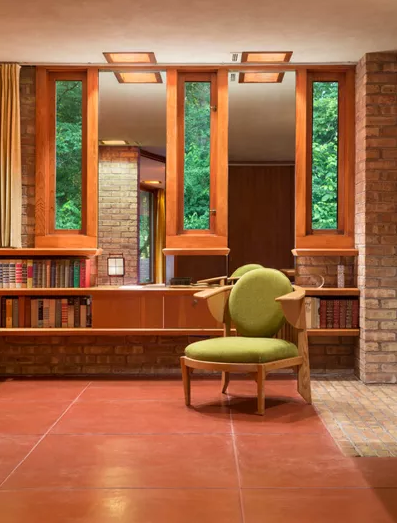 The Frank Lloyd Wright-designed Laurent House, completed in Rockford, Illinois, in 1952, is the only Wright property built specifically for a disabled homeowner. 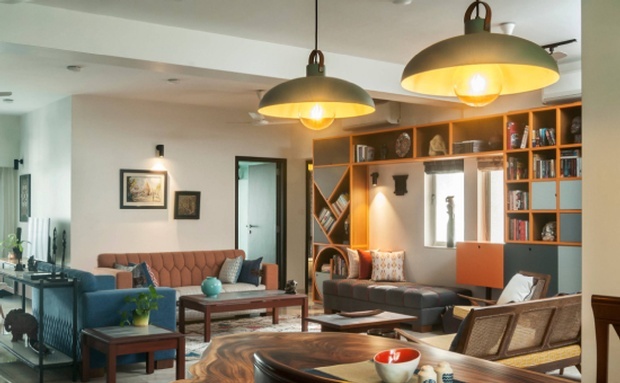 “It really is an outstanding example of what I’m always trying to convince people of, which is you can create a home that works for disability and aging in place and not sacrifice the quality of the design,” Mikiten says. 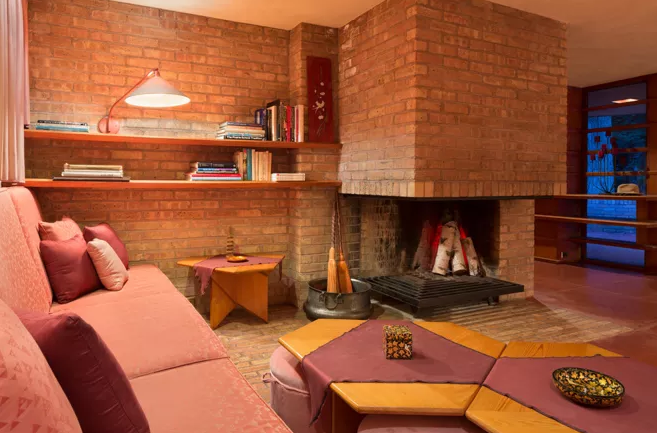 The three-bedroom, two-bath Usonian-style home, which Chicago’s Frank Lloyd Wright Trust will visit in an Oct. 23 event (sold out), doesn’t have the name recognition of other Wright commissions. 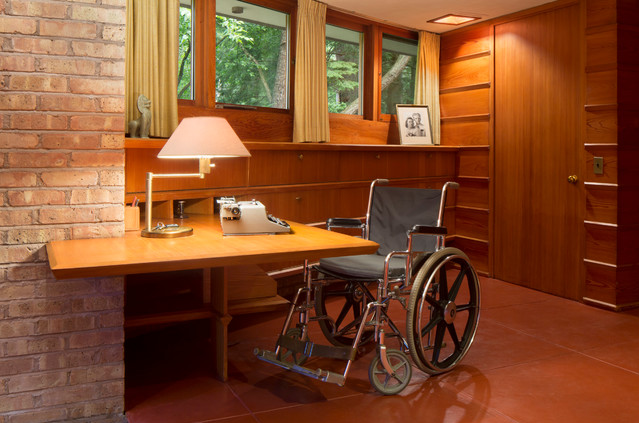 Instead, the “little gem,” as Wright called it, boasts thoughtful features designed specifically for its wheelchair-using owner that continue to inspire visitors and architects like Mikiten to this day. Kenneth and Phyllis Laurent commissioned their home from Wright in 1948 using a $10,000 Federal Specially Adapted Housing grant for disabled veterans to help cover costs. 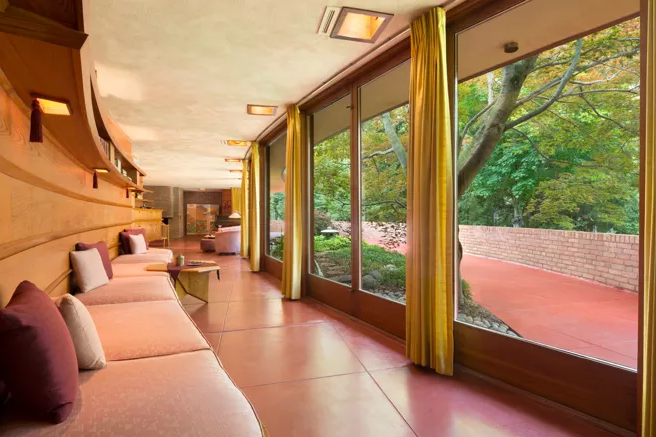 Inside, the house is laid out in an elongated football shape, or hemicycle, designed to keep the sun out in the summer and heat the house when it’s colder. Among the built-in features that made life easier for Ken were the house’s single-story construction, lowered doorknobs and light switches, wider doorways (at least 36 inches), drop-down cabinets and enough bedroom and hallway space for turning around in a wheelchair. 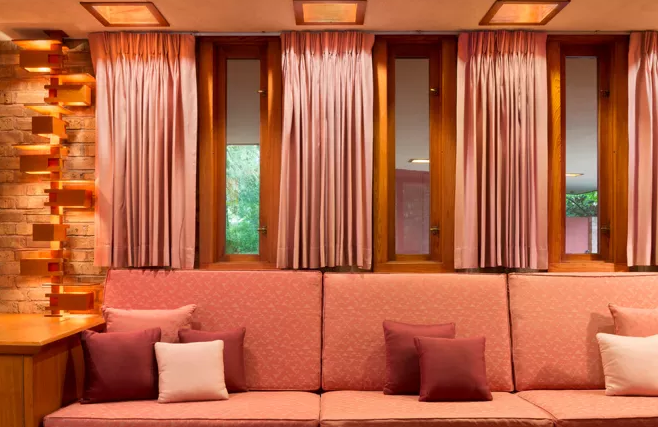 “All of these built-ins had a space underneath so Ken could pull his wheelchair up with the footpad underneath so he could get nice and close to it all,” says Jerry Heinzeroth, founder and president of the Laurent House Foundation and a longtime friend of the late Laurents. When the house was recognized with an award in honor of the ADA’s 25th anniversary in 2015, it was estimated that the original house, which the Laurents meticulously maintained, met about 90 percent of modern ADA standards. For all its personalization, though, the special features blend seamlessly into the house’s design. “If you were not told that this was an accessible house you would not even know it until you reached for a light switch and thought, ‘Gee, that seems a little low,’” Heinzeroth says. That balance is at the heart of the contemporary accessible-design work that Mikiten, who uses a wheelchair himself, and other pros do with homeowners every day. Steven and Rachel Courville of Accessibility by Design in Louisiana say simple tweaks like widening doorways and swapping hard-to-get-into bathtubs for more accessible showers can be a big help for their clients. And with the multifunctional products now available, like toilet paper holders that double as grab bars, those remodels can follow the Laurent House’s lead and feel less sterile and more design-centric. By integrating universal design principles like openness, easy-access furniture and other details into a home, pros like Mikiten and the Courvilles can give their clients a place like the Laurent House that welcomes anyone from a friend using a wheelchair to an elderly relative, whether those clients are disabled or not. 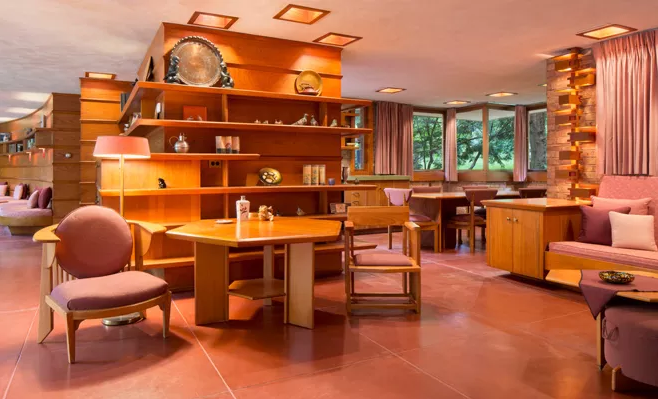 History and architecture buffs who visit the Laurent House privately or on the Laurent House Foundation’s bimonthly public tours can still see all of Ken and Phyllis Laurent’s correspondence with Wright, as well as almost every detail the way Wright originally envisioned it. 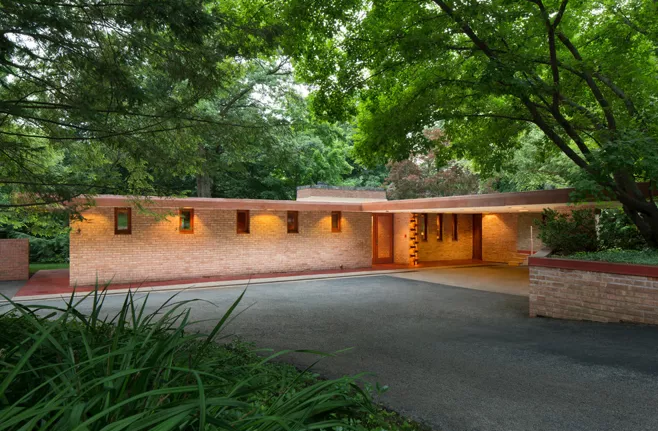 Aside from a 1959 addition Wright worked on briefly before his death, the Laurents kept everything in the house exactly the same until they died in 2012. Restoration work soon after brought Wright’s vision to life even more vividly ahead of the house opening to the public in 2014. 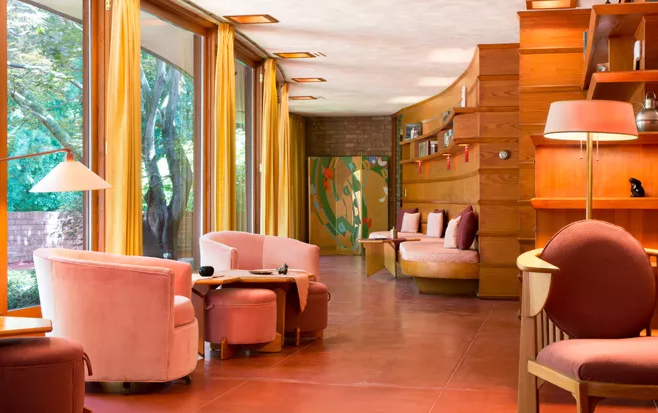 Visitors who know what to look for also can spot all the ways Wright’s thoughtful, forward-looking design considered more than just how the house’s owner would get around. Tell us: How have you made your house more accessible? Share your stories and photos in the Comments.